The first set of ‘EXOS’ haptic wrists is being sold to the industrial sector first, at a price point of $6000, but there are potential future applications for active VR gaming in a home setting. If you haven’t followed VR Fitness Insider in the past, you might not know that there are physical health benefits granted by punching, swinging, and throwing objects in VR. All of these are actions that exercise your natural expectation of ‘object permanence’ and ‘presence’ while in a virtual space, but in order to maintain the illusion of grabbing, holding, hitting, dropping, touching and throwing virtual objects, developers often add context by jolting your controllers with quick vibrations. These ‘haptic’ vibrations fulfill your instinctive expectation of feeling something when you interact with a ‘real’ object. Of course, haptics can’t communicate the true texture or weight of a virtual object. Instead, vibrations are a subtle but powerful tool—responsive enough to inform your brain that you are, in fact, handling an object that is quantifiably ‘real’. If you want to pinpoint this concept in action, pay attention to what happens when you make contact with an opponent’s face or body in Creed: Rise to Glory. You’ll notice how your controller buzzes whenever you land a hit, followed by a release of dopamine as you mentally register hitting your opponent through the buzz of the controller. It’s this exact (micro) dopamine rush that’s keeping you in the ring and coming back from session to session. When you jump into Beat Saber and rub both of your sabers together, take note of the resulting effect; your sabers exude sparks in every direction that, when mixed with the feeling of your hands vibrating, conveys real friction between two objects that are essentially just polygons on a screen. So, what creative doors are opened when developers are allowed to add force feedback to players’ wrists and biceps? Earlier last week at GDC, I got the opportunity to meet with Gota Mitamura and Kaneko Yamato of exiii, a Tokyo-based hardware developer focused on designing haptic gear, of which I got to explore a five-minute demo of their products. They’re working on a few different haptic devices targeting hands and arms separately, neither of which are to be confused for one another. The EXOS Wrist DK2 is the device that exiii showcased to me; a wrist-mounted haptic feedback generator that’s split into two separate servos located on your forearm and on the back of your hand. While a set of EXOS Wrist DK2’s won’t provide information such as texture or temperature, they are designed to add further context to interactable objects in VR by creating resistance on your wrists and forearms. I’ve written about the possibilities inherent to packaging additional haptics-based hardware peripherals (i.e. haptics suits and haptic handwear) with future generations of VR headsets, but this is the first time I’ve gotten to play with a haptic peripheral as sophisticated as this. During my demo, I got to play with a virtual handgun as well as a ball on a stick and a weighted cube. The handgun provided some kickback that jolted my arm back a little, but not so much that it was uncomfortable or jarring. The ball on the stick was a bit more interesting; the weight of the ball created tension in the EXOS device, especially when I got the tether caught around other objects. The third and final object available to play with during the demo was a weighted cube that I could pick up and toss around. What stood out about the cube was getting to change different variables regarding its weight and texture. At one moment, the EXOS device simulated the weight of a second object bouncing around inside of the cube, which was particularly impressive. For the purpose of fitness, a haptic system like EXOS Wrist DK2 could add additional somatic feedback when you punch a heavy bag in a boxing game like The Thrill of the Fight or BOXVR, as well as provide kickback when you slash a beat in Beat Saber. But those are just a few examples of active VR games enjoying increased longevity and immersion. Unfortunately, exiii is not currently aiming their products at gamers. Especially not at the price point of $6000 that their models currently sell for. Instead, the early models of the EXOS Wrist DK2 are currently being sold on a job order basis, and specifically to high-priority customers who work in industries (like manufacturing) that demand immersive training facilitated by the EXOS device. Virtual reality is synonymous with complete and total immersion in a space that is both as ‘real’ as it is ‘artificial’. When you slip a VR headset over your eyes, your visual and auditory contexts immediately switch to the virtual world presented through the display. 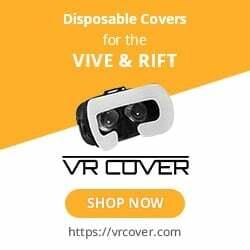 Additionally, the experience of diving through VR environments with hands is much more immersive by virtue of having an opportunity to play with and directly interact with objects in your environment. While these models are being developed for industrial purposes, they will eventually reach LBE (location-based entertainment) destinations after some further iterating in Tokyo. The initial release window for mass-production is slated between June and July of 2020, but there is no proper release date quite yet. Until then, the team is primarily concerned about what time to stop iterating and begin mass-producing. Does a device like the EXOS Wrist DK2 have a place in your VR gaming setup and do you think it would improve your workout routine? Let us know in the comments.